The rental market in W2 is thriving and at Cavendish Rowe we offer landlords a comprehensive property management service to help you get the most from your property investment. We know that renting out your property, particularly for the first time, can seem daunting but we’ll guide you through every stage, making the process straight-forward and stress-free. We understand that your property is likely to be one of your largest assets and so you need the confidence that it’s in safe hands. Whether you have one property or several, we will make sure your investment is well-managed and ensure that relations between you and your tenants always run smoothly. Maintaining good relationships between landlords and tenants is key and with Cavendish Rowe, you can be sure that your tenants are being well looked after. By providing a great service to tenants, you can maximise the returns from your rental properties. We can take care of every stage of the relationship from finding quality tenants and negotiating tenancy agreements to collecting rents and conducting inspections. We will also ensure that you are meeting all of your legal responsibilities as a landlord including health and safety legislation, insurance, mortgage and head lease requirements. When it comes to marketing your rental property, we take a strategic and proactive approach. We successfully combine a range of online and offline marketing techniques to maximise exposure to your property and we will work with you to agree the best marketing strategy for your property. Options could include space within the prominent window displays in our Paddington office at the heart of W2, full colour brochure and floor plans, and inclusion on the Cavendish Rowe website. 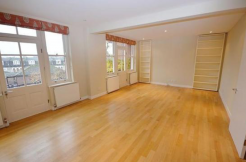 Our website attracts a large number of visitors each month who are specifically searching for rental properties in W2. All of this is designed to give your property maximum exposure, attract quality tenants and achieve the best possible rent. We will provide you with up-to-date information about expected market rent and can also give advice on property presentation and how to secure the best tenants. With local and national advertising campaigns we ensure your property is let quickly to minimise vacant periods. Meeting all your legal responsibilities is important for any landlord and property lettings and management are now governed by a raft of legislations. At Cavendish Rowe we can steer you through all the legal requirements including gas safety, electrical safety, tenancy deposit protection, energy performance certificates and non-resident landlord taxation. So if you’re looking for property management in W2 and would like to find out more about our services, get in touch.